Jackie Reitzes has published fiction in Iron Horse Literary Review and non-fiction in ESPN: The Magazine and The Minneapolis Star Tribune. A native ATLien, she received a BA in English from The University of Michigan and still dreams of returning to Wolverine country one day. After working at HarperCollins Publishers for two years, she migrated to Ithaca, NY for an MFA in Fiction from Cornell University. She currently lives in New York City. Desert-Island picks include Bird by Bird by Anne Lamott, Jesus’ Son by Denis Johnson, The Boys of My Youth by Jo Ann Beard, Killing Yourself to Live by Chuck Klosterman, and Self Help by Lorrie Moore. The Eleventh Annual Story Prize goes to…Elizabeth McCracken! 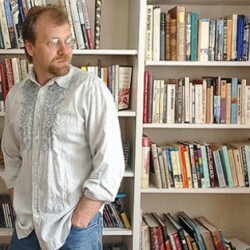 The Story Prize Goes to… George Saunders! I was lucky enough to attend on behalf of FWR, and the evening was pretty magical—the-Oscars-meets-Inside-the-Actors-Studio of short-story collections. 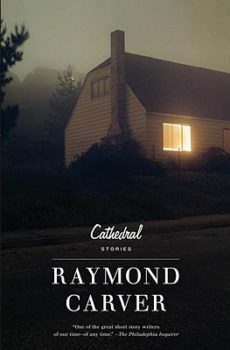 In her latest collection, Vampires in the Lemon Grove (Knopf), Russell traffics in her now-trademark wit. In eight tightly drawn stories, she imagines fantastical worlds that stem from the bleakest realities. Emma Straub’s first novel is a paen to old Hollywood–both its heroines and its illusions. The award-winning Alexi Zentner on fiction as types of food, pen as talisman, bad music as white noise, and his fellow Canadians, who inspired him to take up the pen. 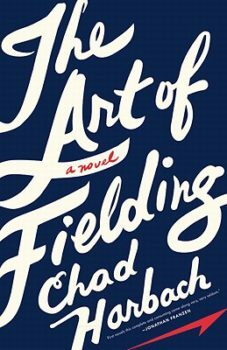 In his powerful debut novel, The Art of Fielding, N+1 co-founder/editor Chad Harbach taps into the ephemeral baseball consciousness through a four-person starting rotation of narrators—all characters at a small, fictional, liberal arts school on Lake Michigan. In her sixth novel, State of Wonder, Ann Patchett delivers an adventure story that still rests comfortably on the shelf of Literary Fiction. Researcher Marina Singh leaves her Minnesota lab for the Amazon to investigate a coworker’s death and evaluate the research of a field team deep in the jungle. The appeal of Jo Ann Beard’s coming-of-age novel In Zanesville transcends both age and gender.